This entry was posted in Substance Abuse on August 25, 2014 by Platinum. The use of the prescription drug Adderall among college students has become concerning as abuse of this medication has increased. What exactly is Adderall and why is the use of this drug appealing to college students? Adderall is a psycho-stimulant that is typically prescribed for the treatment of attention deficit hyperactivity disorder (ADHD) and narcolepsy. Adderall functions by increasing the activity of norepinephrine and dopamine in the brain, which are neurotransmitters that are responsible for cognitive awareness and function. The combination of stimulants in the medication is intended to work by restoring the normal balance of neurotransmitters in the brain. Why is this drug desirable by college students? Many college students are functioning under enormous stress-levels and high demand schedules, often with little sleep and inadequate nutrition. It is not uncommon for college students to pull all-nighters to study for exams or finish a project, then be expected to attend classes or work the following day. Known as the “Study Drug” on college campuses, Adderall is now functioning for other purposes than intended. While purposed for treating ADHD, many college students are obtaining this prescription and using the medication without an ADHD diagnosis. According to the National Institute on Drug Abuse, one in five college students has admitted to using Adderall without a prescription from a doctor or diagnosis of ADHD . This is especially concerning as amphetamine medications, such as Adderall, are classified as having the highest potential for dependence or abuse . Researchers have also found that a startling 90 percent of full-time college students who used Adderall nonmedically were also binge alcohol users, with more than half being heavy alcohol users . College students today are facing unequivocal pressures in their daily lives that can be difficult to withstand and endure, day in and day out. Whether it is the pursuit of academic success, athletic performance, or social pressures, the use of stimulants, such as Adderall, cannot accomplish goals or make any task easier. 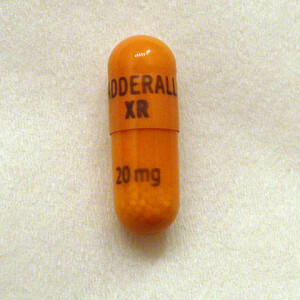 While Adderall may seem to offer the much needed boost to power through an intense week of finals, a never ending to-do list, or another work shift after a day of classes, the addictive nature of this stimulant will only result in devastating consequences. What might be intended as “quick fix” or “boost” can rapidly escalate into full blown drug addiction. The college years, while incredibly demanding and stressful, are full of potential for a bright and prospective future. Consuming Adderall will only darken the hopeful time college can offer in terms of self-improvement and personal growth. Drugs, such as Adderall, can only numb you from the enriching experiences that will allow you to thrive in life. Perhaps the stresses that often come with college have been overwhelming. Know that there are solutions that can help you effectively cope in a healthy manner that will not be detrimental to your health or future. : McCabe, S. E., Knight, J. R., Teter, C. J., & Wechsler, H. (2005). Non-medical use of prescription stimulants among US college students: Prevalence and correlates from a national survey. Addiction, 100, 96-106.